Having more RAM is one of the cheapest Mac upgrades you can get for a performance boost, and with prices this low there’s little excuse to not have 8GB if your Mac supports it. Here are two great deals on RAM upgrades for some of the most recent Macs. I reviewed an 8GB RAM upgrade last year for a 2010 MacBook Pro and I would highly recommend it for the price, at that time it cost $120 so paying half of that is quite a steal. It’s pretty easy to determine if a RAM upgrade would help you, but I think most users would benefit. I took advantage of this offer, and I’m glad I did. Some other people said to avoid it as they had problems with this upgrade. But it has been flawless for me. No problems at all. I agree with RAM at this price there really is no reason not to upgrade. Just one other note. Be sure to run memtest to check the RAM. I downloaded Rember, the GUI frontend for memtest. No problems. 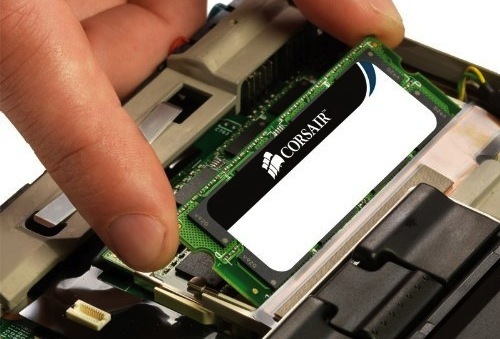 Will, I had my doubts about the Corsair RAM because of the mixed reviews, but it’s a great buy! I highly recommend the the two 1333Mhz Dimms. I mean for $44.00 8GB of RAM? It’s a no brainer. Rember is also a great 3rd party front end app for memtest. Thanks to you and OSXDaily for posting the articles about this great RAM upgrade. So I’m curious – I have a 2010 Mac mini and the article says I should put in the 1066MHz RAM for $60. What’s the problem if I put in the 1333MHz RAM instead for $44? It should clock down to 1066, but if there is an unmatched pair it could cause stability issues. I wouldn’t recommend using RAM that isn’t intended for the machine.